I don’t think many of us grew up particularly liking the dentist. You end up there after crying out in pain and holding your mouth, you get told to lie down on a giant chair, and some stranger decides to poke about in your mouth with weird instruments. And don’t even mention the drill. Your mum tells you “everything will be ok” making you think that something definitely isn’t going to be okay. All the strange lights, strange smells and strange noises can make for a really scary, and well… strange experience. Taking your kids to the dentist is so essential for maintaining healthy teeth and an excellent standard of oral hygiene. That’s why it is so important to either prevent your kids fear from developing or at least help to ease it. With these top 8 tips you will be well on your way to making the trip to the dentist as normal as a trip to the shop. This is so important because a lot of the fear that comes from visiting the dentist is the unfamiliarity of it all. Ask around and get recommendations from your friends or on local forums to see who other parents are recommending. And why not also book an appointment to just meet your dentist and bring your child along. You can see if they get along well and put your child at ease. It’s a great idea to start attending the dentist as soon as your child gets its first tooth or when they turn one. 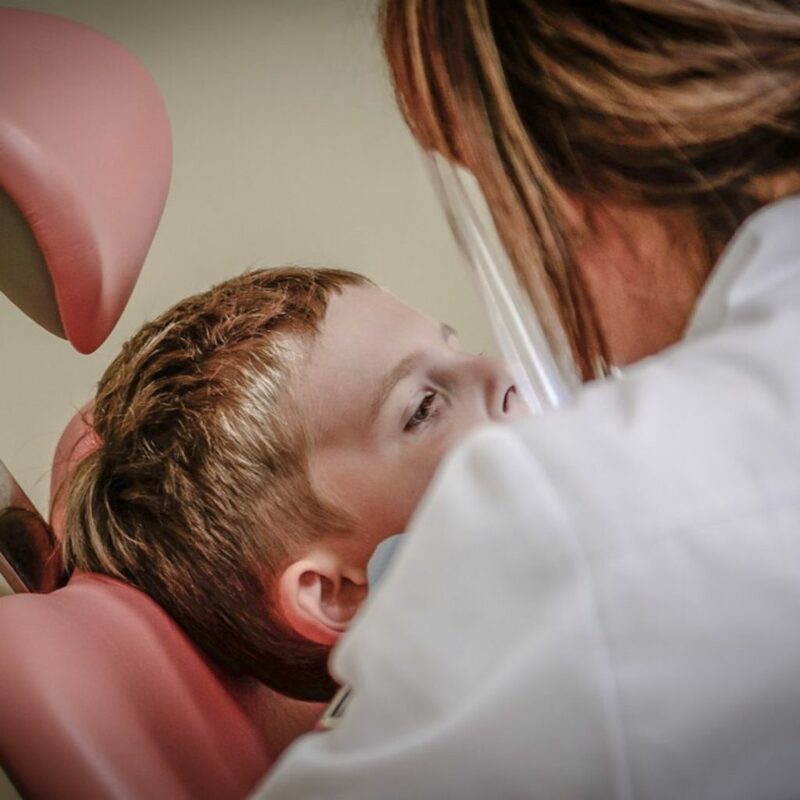 This way your child is able to build up their experiences of visiting the dentist in unforced ways with treatments that won’t involve any kind of pain. The worst thing you can do, is wait until your child is in pain and then bring them to the dentist for the first time into an entirely new environment. You could risk your child only associating the dentist with pain and fear from then on. 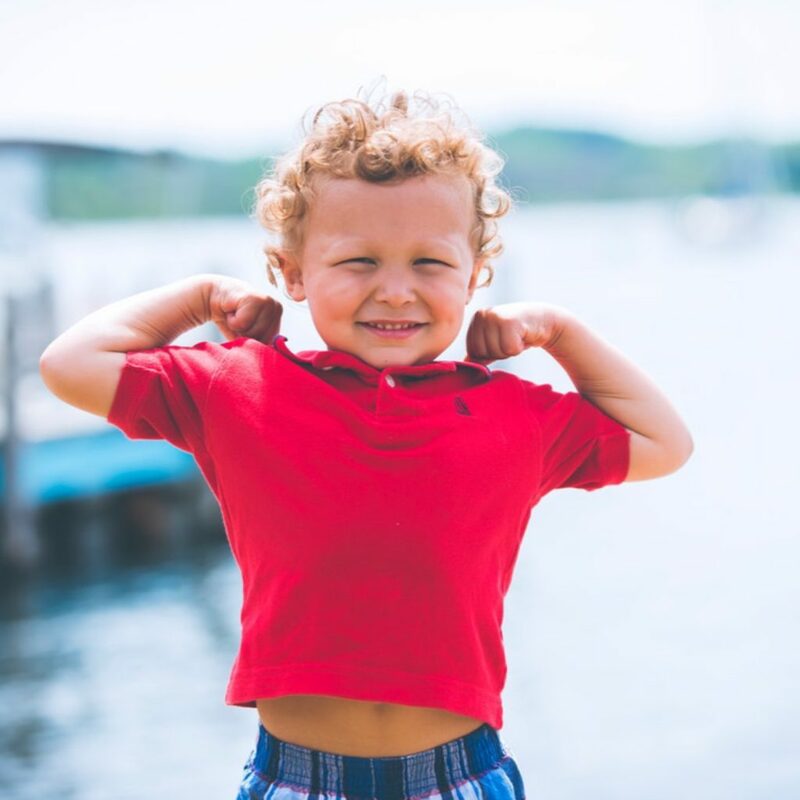 Going regularly is also a great way to stay on top of your kids dental hygiene, therefore you will catch any problems early, hopefully avoiding any cause for pain. Going to the dentist and coming out with no cause for concern is a very positive experience that is good to build up. Other than having regular visits and getting to know your dentist why not ask if your kid can have a “tour” so they get to see everything in a nicer and less fearful environment. Make it like a fun learning trip. They can look around the waiting room and see what fun things there is to do. The dentist might allow for a visit to the chair to show them what each of the less sharp tools do and explain some of the things they might do when they visit, like count their teeth. This helps address the fear of the unfamiliar and the fear of allowing someone else other than their mum or dad to be up close to them. Be positive and enforce how important dental hygiene is using positive words like strong, healthy, clean and shiney. Try to avoid words like pain, jab, or THE chair or THE drill. Be careful how you talk about the dentist as your personal fears might come across. You might say how don’t worry, which can cause them to think why would they worry? You should also ask ahead what procedure the dentist is going to perform on your child. This will stop you from accidentally becoming panicked or concerned. Tell your dentist if your child has any fears before their appointment so your dentist can treat them in the best manner possible. Make a game out of it at home so your kid can see the fun side of it and the experience will be less new and scary. There are obviously things you can’t do, and it’s certainly not recommended that you encourage them to put anything inside their mouth. But you can have a look at each others teeth and; score them by how great they look, ask how they brushed them, when they last brushed them, which is their favourite toothpaste, if any of them feel sore or sharp and so on. This can also teach them how a good patient is supposed to behave and prepare them for when they actually go. One of the most horrible things of being in the dentist is not being in control, or for a kid, even having their parent in control. It can be an uncomfortable experience that sometimes leaves you having to breathe differently or not able to talk. This can be scary and panic inducing for a child who is unaware. Therefore it is good to have a signal for when your child is experiencing panic, pain or discomfort. For example, raising their arm, or squeezing your hand twice. Letting the dentist know, and your child know they have some control to make it stop will make it a lot less frightening and uncomfortable. There are different views on whether you should offer incentives for things such as going to the dentist, or behaving in other people’s homes. In this specific case the reward lollipop sends slightly conflicting messages, and rewarding your kids when they behave a way they should already be behaving can have negative effects. Rather than offering incentives for good behaviour you should try and relate a trip to the dentist to other activities your kid finds fun. Like go to lunch or to the park afterwards, or over to visit granny. This will help build a positive connection to trips to the dentist. As opposed to bribing them with incentives for good behaviour towards something they should already be on their best behavior for. 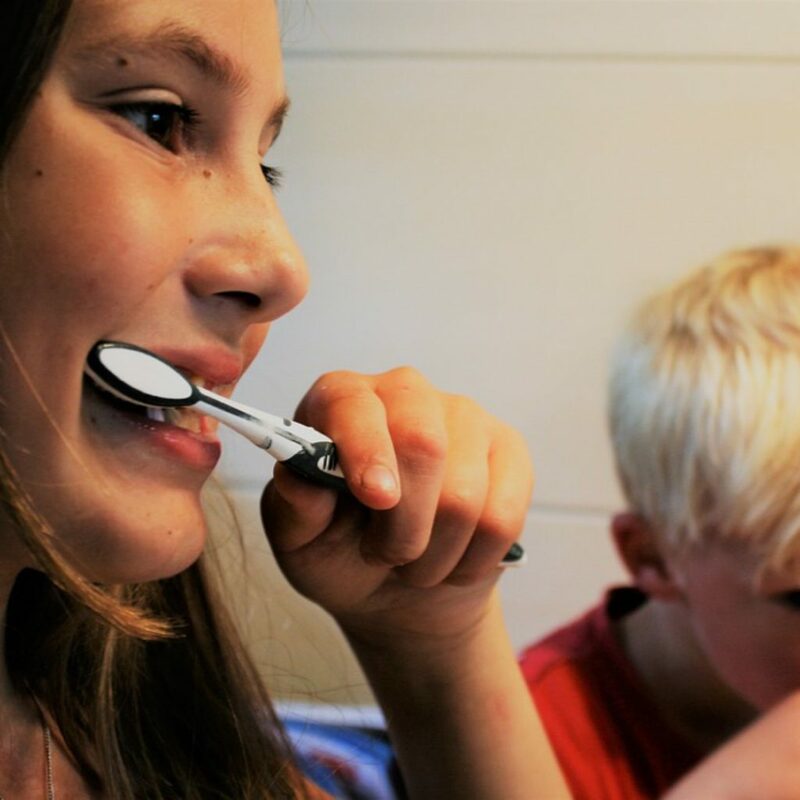 Rather than using fear-mongering to get your kid to brush their teeth let them know how important it is and that the dentist is there to help them. Make brushing and flossing fun, by having a routine every night and morning. Let them choose their own toothbrush and toothpaste (within reason) so they feel like they are in charge of their own teeth. Again, making check-ups a regular thing will promote the upkeep of dental hygiene, and show them is is a necessity not just a choice. You need a no-nonsense approach to their dental care routine, and make it your mission to make it as routine and normal as possible. When they are older, they will thank you for their beautiful white shining smiles. Being afraid is a horrible feeling, especially if it is irrational. You don’t want your kid to be scared of the dentist for any length of time never mind their entire life. That’s why it’s so important to instill how essential good oral hygiene from a young age. And to drive away any worries or fears about going to the dentist by following our tips. Buttercup 7 Day Dental is a dentist in Glasgow Scotland. Buttercup was founded in 2011 with the aim of creating a clinic where patients would feel safe and relaxed. At Buttercup, our finest mission is to end our patients dentist fear and provide them with a high quality service. Got any other tips on beating the dental fear? Please give us a shout on Facebook, we’d love to hear from you! Aimee works with Buttercup Dental writing on all things, dental, health and dazzling smiles.